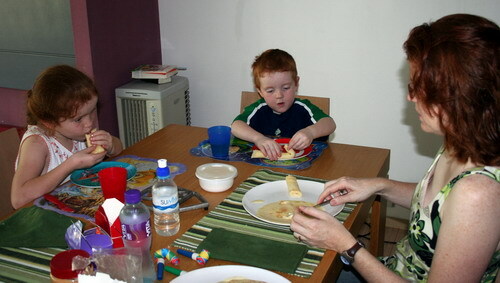 This morning I served up pancakes for breakfast. Today was the first morning that we could enjoy a leisurely sleep-in (past 7 am), although Craig was out the door at eight for an all-day training session. Previously... No power? No problem in HK!